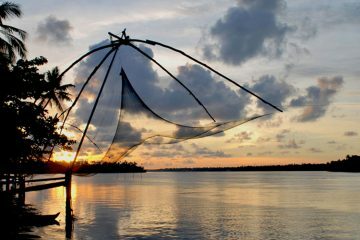 Destinations: 2 Nights at Cochin (Heritage City), 4 Nights at Munnar (Hill Station), 2 Night at Thekkady (WildlifeHill station), 2 Night in Alleppey (Backwaters) and 1 Night in House Boat (Backwaters Cruise). Pickup from Cochin Airport, Relax overnight in Cochin. Sight-Seeing Around Munnar, [Flower Garden Nursery, Tea Plantations, Maduppetty Dam, Kundalai Dam, Echo point, Eravicolam national park, Tea Museum etc…], Relax overnight in Munnar. Sightseeing around Munnar. 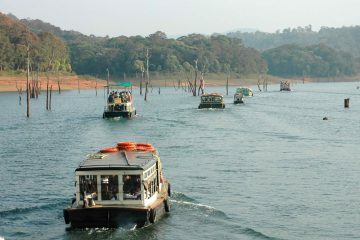 [Eravicolam national park, Tea Museum, Blossom Park, Pothamedu View] Relax overnight in Munnar. Sightseeing around Munnar. Relax overnight. Transfer to Alleppey ( 4.5 hours), Relax overnight. 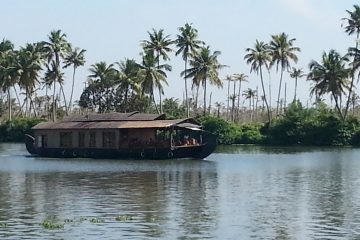 09.00 Check-out from House Boat, Transfer to Cochin. Sightseeing /Shopping around Cochin (Depending on departure time, Drop to Airport \ Railway Station. This trip was one of the most memorable in my life and thanks to you and Anil (who drove us around) for making it memorable.The experience was just exotic.In fact I and Pam regretted for not spending more time in Kerala , of course we would have if we had enough time in our hands. What i liked about Munnar was the cold weather and the beautiful sceneries . It was paradise on earth. We couldn’t capture enough with our camera. But whatever i could capture , i have converted into pictures and they have taken a permanent place in the album and also in my heart.We liked the resort at Munnar in which we stayed. We could click some Out-of-the-ordinary pictures at Top Station and also got to savor unheard fruits like tea tomato and Passion Fruit.